We have extensive experience and understand how accidents happen. This makes it easier for us to prove your case or negotiate a settlement. We have specialist knowledge of injuries and have helped many victims with serious injuries. General Damages in personal injury claims are awarded to you to compensate you for “pain, suffering and loss of amenity”. The amount of compensation you receive depends on your injury, how long it will take you to recover, and prognosis. When we assess the amount of compensation you may receive, we refer to expert medical reports, case law and the Judicial College Guidelines. We aim to maximise your compensation. 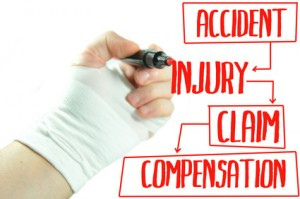 With our knowledge and expertise we ensure you will be adequately compensated for your injuries. At Geoffrey Lurie’s Personal Injury Solicitors Newcastle, your Personal Injury Claim can be funded as a “No Win No Fee” agreement. This means your legal costs for making a personal injury claim are kept to a minimum. If you are unsuccessful in your claim you will not have to pay anything. Geoffrey Lurie’s Personal Injury Solicitors Newcastle – we will give you a free consultation with one of our specialist accident lawyers. Geoffrey Lurie’s personal injury solicitors Newcastle will be happy to discuss your claim in full. We will answer any questions you may have about making a no win no fee personal injury claim. For any more information please call 0191 466 1444 . Alternatively, email: advice@geoffreylurie.com or fill in our contact form and we will respond as soon as possible. But of course if you want to talk now, please telephone us on 0191 466 1444 for a free, no obligation chat. We look forward to hearing from you!